Are you struggling with students rushing though their work or directions and they miss steps? Here is a reading strategy solution! 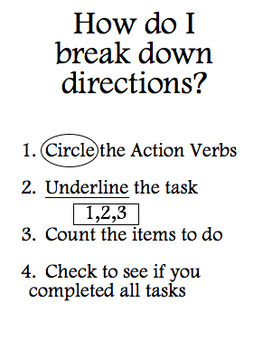 CUCC is Circle the "do" verbs, Underline the action, Count the verbs, Check that you completed the tasks you have circled.